Diana is our dental administrator and looks forward to welcoming you to Ora Dental with her calm and friendly smile! She has many years in the dental field and will assist you with scheduling visits, helping you with your insurance, and reminding of your treatment needs. She will help to ensure that the administrative and finance side of your visit runs smooth and easy. Diana enjoys spending time with her family and friends – and, she’s quiet about it but she is a mean ‘gamer’! Sierra is our dental administrator and is the first to welcome you to Ora Dental! She is new to Calgary, moving here from Montreal, but has already embraced our beautiful city and loves exploring everything our city offers. Sierra looks forward to ensuring your visits are convenient and comfortable as possible. She assists our patients with scheduling their visits and remind our patients to not fall out of their regular dental care. Sierra is a trained dental assistant so she can assist our patients not only with the administrative, but you may also see her helping out back in the clinic as well. Stephanie is a Registered Dental Hygienist who helps our patients keep up with their oral hygiene and health. Stephanie grew up in Southern Alberta where she completed high school in the French immersion program. After pursuing a diploma in Business Management, she was looking for a career in which she could better put her affinity for others and caring nature to use. 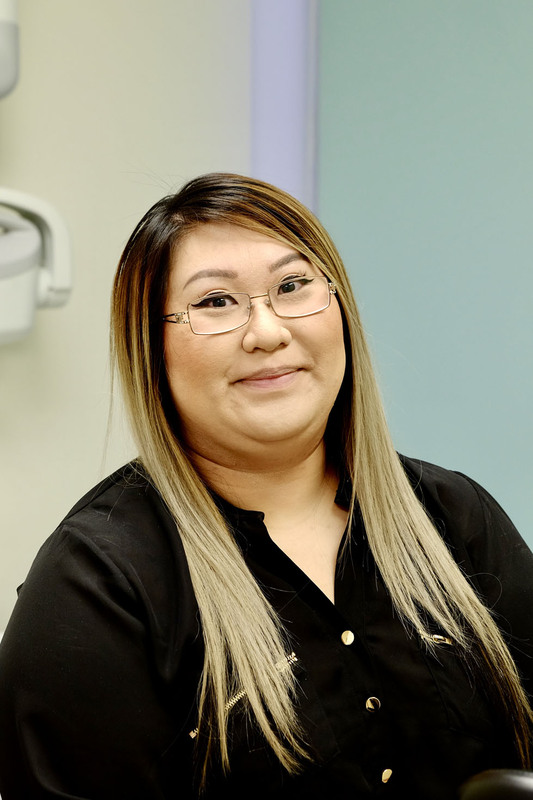 She found the dental field would be a perfect fit and completed her Dental Hygiene program in Vancouver, British Columbia. 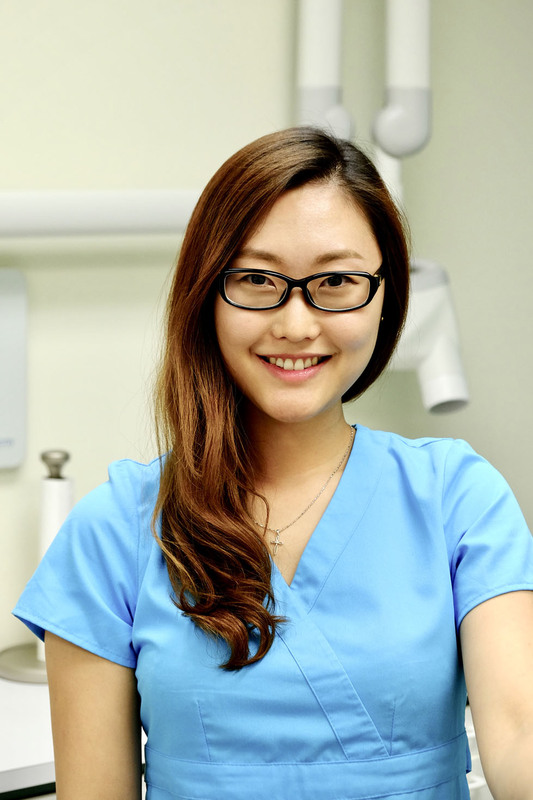 She strives to maintain a positive attitude and professionalism while delivering the best oral hygiene care and education to our patients at Ora Dental. In her spare time Stephanie enjoys cooking, travelling, spending time with friends & family, and many of the wonderful things life has to offer. 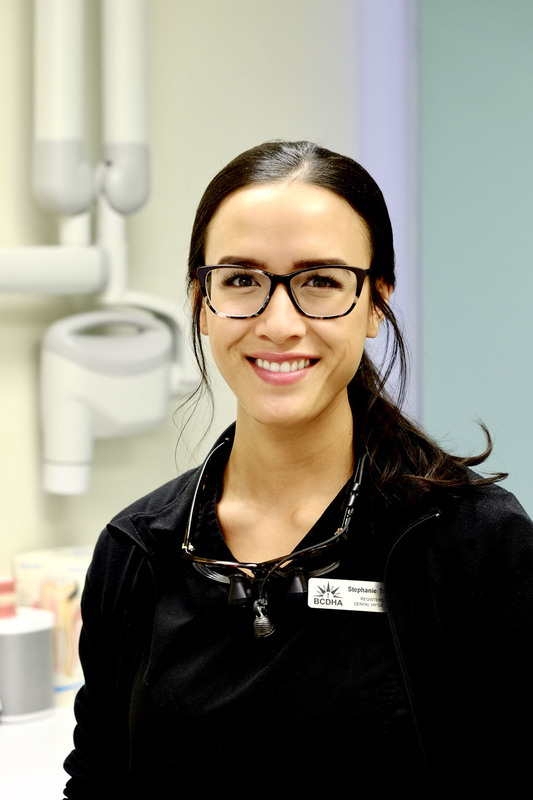 Juliet has been practicing as a Dental Hygienist since 2008 and has a Bachelor of Dental Sciences from UBC. Juliet welcomes you with a big smile and looks forward to taking care of the oral hygiene of our patients at Ora Dental. 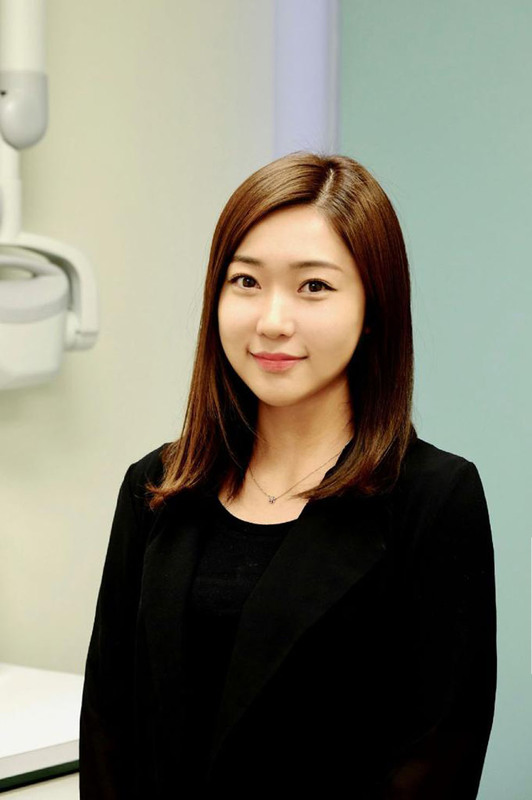 Her gentle manner and sincere oral hygiene recommendations are much appreciated by her patients. Juliet’s first love was fine arts. When she is not spending quality time with her husband and son, she enjoys painting and expressing her creativity. Juliet also appreciates architecture and has an interest in keeping up with the dynamic real estate of the city.